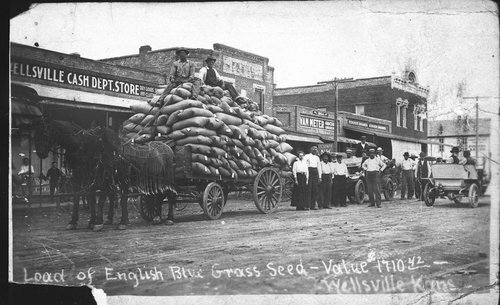 Photograph of a wagon load of English blue grass seed in downtown Wellsville, Kansas. Value of the cargo was $1710.42. Persons in the photograph are unidentified.